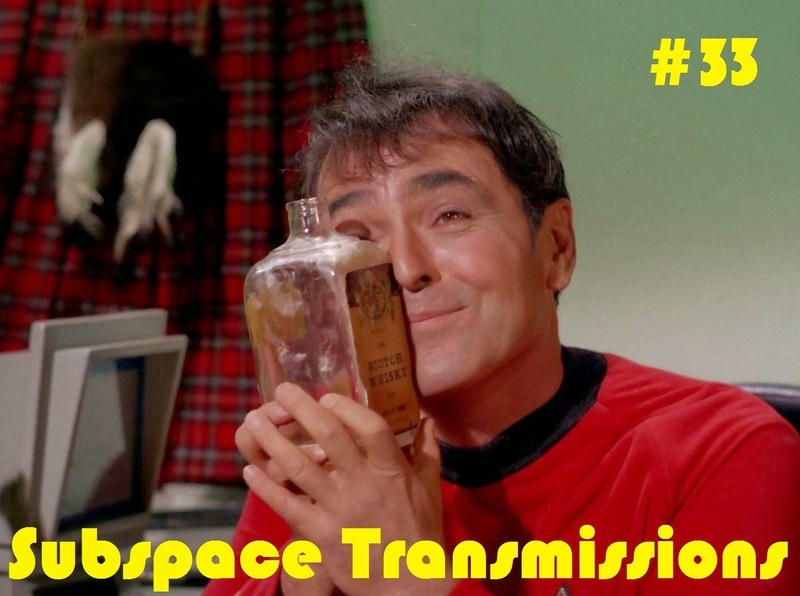 Subspace Transmissions: A Star Trek Podcast: EPISODE 33 - "STAR TREK UNDER THE INFLUENCE"
Sure, Trek loves to sell a straight and narrow future! But sometimes, just sometimes, Starfleet members - intentionally or unintentionally - reveal that they are totally down to party (if you get my drift). This week hosts Cam Smith and Tyler Orton, along with returning guest Tony Geluch, chug beverages and celebrate those wonderfully slurry and/or trippy moments when characters found themselves utterly blitzed. From the intoxicating radiation of "The Naked Now," to mind-altering Risa video games, Ketracel White and those happy-happy plant spores that had Spock swinging from tree branches, there's no shortage of fun hazy memories to bliss out on. So chill out and live in the moment with us, dudes and dudettes! Wanna appear on the show? Shoot us a 30 to 60-second audio clip letting us know what your favorite Star Trek Under the Influence moments are and you could take the spotlight in an upcoming program! You can also send any other questions, topic ideas or feedback to subspacetransmissionspod@gmail.com! Have a tanfastic fantastic week!